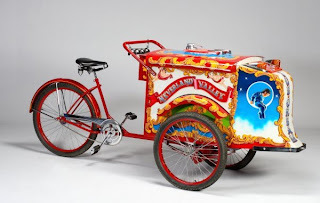 What is Neverland without Bubbles and Ice Cream...looks like the ranch scooped out ice cream in style. 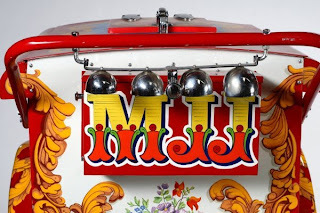 A recent auction had this totally cool ice cream cart for sale adorned with MJ's initials and battery operated lights and musical bells. I SO want this!